Dance Jumpsuit is new release from Vero Modero. This suit have 2 patterns, Basic, Fish Scale. It can color change vie ColorPicker of HUD. Standard size 5 sizes included. + Suit | VERO MODERO – Dance Junpsuit (Fish Scale) – NEW!! + Hair | enVOGUE – Patricia (Dark Greys) – NEW!! + Lip | JUMO – Kaori Lips (Borgonha) – NEW!! 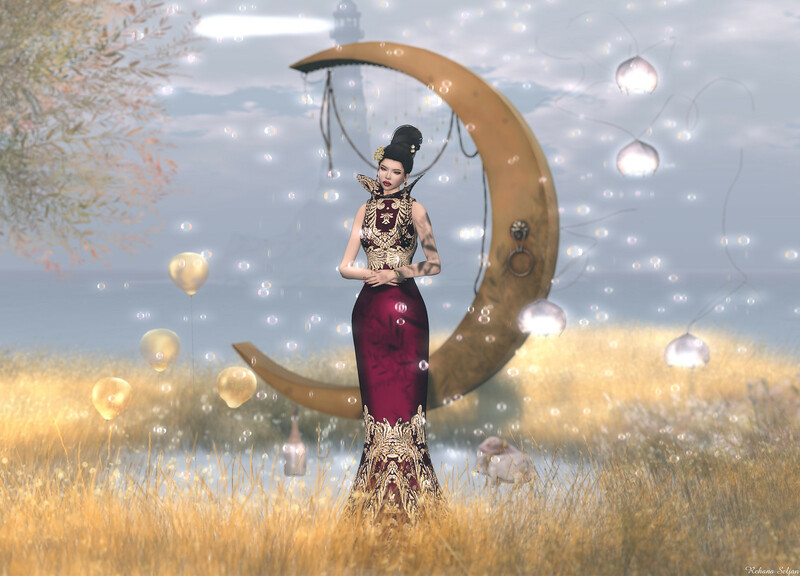 + Gown | Snowpaws – Estree Gown (Rouge) – NEW!! + Jumpsuit | SlackGirl – Lia JumpSuit – NEW!! + Nail | Nailed It – All in One – Glitter Gold Set (for Slink) – NEW!! + Gown | KELINI – Snow Pearl Dress (Black) – NEW!! + Hair | enVOGUE – Inna (Dark Greys) – NEW!! + Pose | PosESioN – Regina Set – NEW!! + Jewelry | CHOP ZUEY – Pure of Heart Dolphin Set – NEW!! + Hair | enVOGUE – Clarissa (Dark Greys) – New!! + Pose | PosESioN – Frida Set – NEW! !